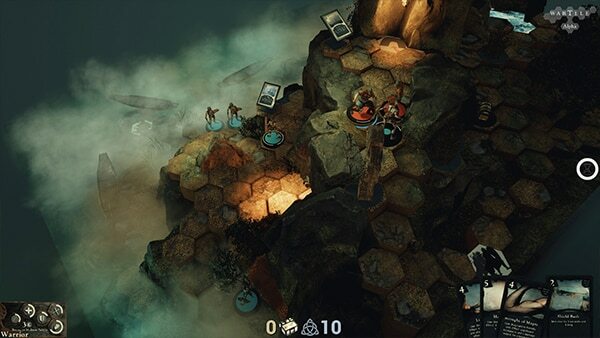 With its highly-detailed environments and unique combat style, Wartile is not your average table-top game. Wartile is a real-time strategy game with a mix of turn-based elements—but it’s not turn-based. We aim to give you the feeling that you are playing a miniature diorama game with small figurines within an experience of a live digital board game. 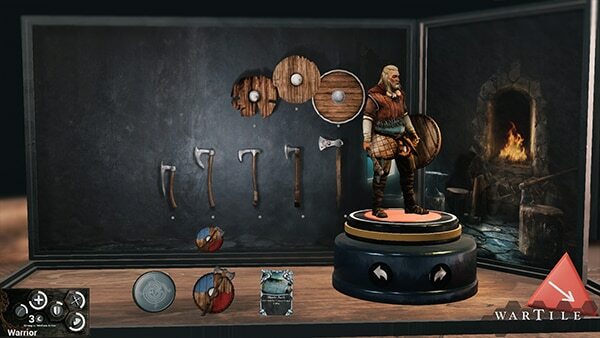 You have to solve different missions and complete objectives and you must battle against the Viking clans or factions. When I was a kid, I played a lot with figurines. I always loved this use of the imagination, of how you add life into the inanimate objects. With Wartile, I wanted to recreate this experience for grown-ups. So, as an adult you don’t spend much time sitting with your figurines like this anymore. You rarely have them talk to each other and stuff like that. But that’s something we could do on the virtual space. The whole inspiration for Wartile is nostalgia. I believe everyone has some sort of fascination with small figurines. We want to create that feeling- just in a computer game. How did you use Maya LT and in what parts of your pipeline? We chose Maya LT because it was a great option for a small indie studio to be able to get a 3D application that was affordable and that you could license for a month at a time. Because in small studios, you sometimes don’t know if what you are going to work with something that will last for a long time or not. In the beginning, I was licensing it monthly. It actually had all the different features that I needed at that moment, so I was able to model in it. We were then able to rig and create some animations in it. That was exactly what we needed in our pipeline and what I used it for; and we still do! What were you doing prior to starting Playwood Games? I took a course in ceramics and I really fell in love with it. This hobby made me apply to the Danish Institute of Design. I quit my job at IBM one year before I applied because I wanted to practice my skills in drawing. I started to create my concepts for sculpting in 3D applications. That was a very fast way for me to create shapes and try out different options. So suddenly, I was sitting with these amazing 3D tools that allow you to create everything. And then I realized after four years that I didn’t see myself in the future working with clay. I wanted to actually create these experiences in 3D applications instead. Right at that time, they formed a new design course at the studio that had a focus on games. So, I moved to that course and stayed there for two years doing my Masters in Digital Design. Why did you decide to start your own indie studio? I worked almost seven years at Io-Interactive. I spent a lot of years working on the Hitman franchise- I’m privileged to be able to get the chance to work with the best. You can find a lot of inspiration in AAA and it’s a really good place to grow as an artist but I always had the dream of starting up a studio of my own since I left the design school. I was also aware that it’s a tough business and I think to optimize chances of success, it was needed to gain as much experience as possible professionally but also in production and pipelines. At a point in Io-Interactive, I didn’t feel challenged anymore. I kind of felt at a halt in my personal growth and development. I realized it was time to do something different. So, I quit and started a small studio from scratch. What made you want to join the games industry? Was there a game in particular? It’s not really the games that inspire me to make games. I usually tell people I meet that when they start the concept phase or brainstorming, don’t look at games. Be inspired by the world; by people, music, movies, theater, nature, water, rocks- everything around you. And then when you have created the framework of your game, acknowledge that if you have mechanics, game play elements, or art that is already used in other games, look at those games and see how they solved specific issues and be inspired by that. The reason you keep working on something that requires a lot of sacrifices regarding your free time, your family time, or your financial situation is reaching a stage where you can see other people play the game. You also learn a lot from watching people play. They talk about what they like or what they don’t like and you can hear when they are enthusiastic about something. That’s the true reward in doing what we are doing - seeing other people play your game. Playwood uses Maya LT for modeling, rigging and animation. 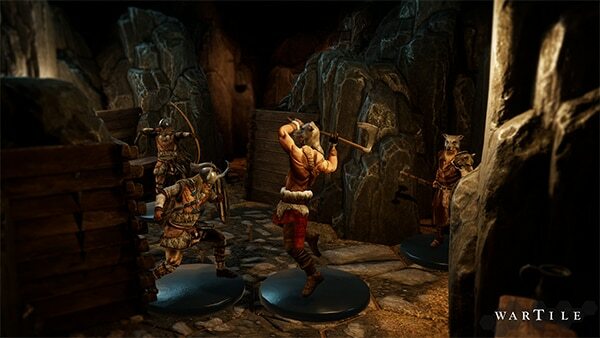 Wartile is available on Steam Early Access.